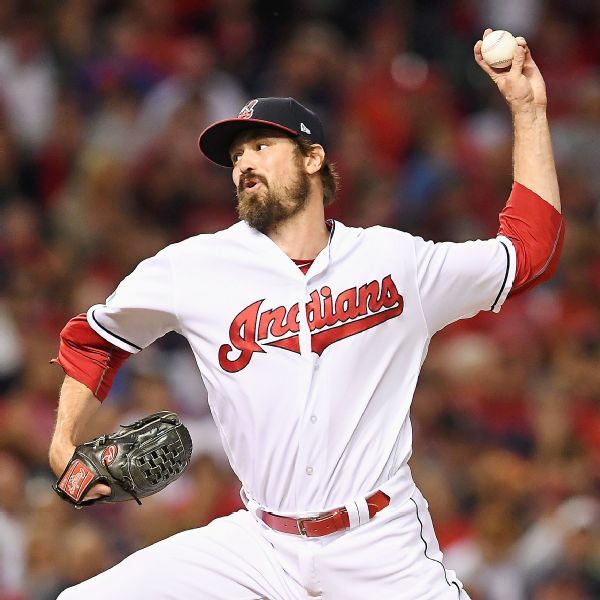 The Indians, already facing a shortage of outfielders, put Tyler Naquin on the DL with a right hip strain. Right-hander Adam Plutko was recalled from Triple-A Columbus to take his spot on the roster. 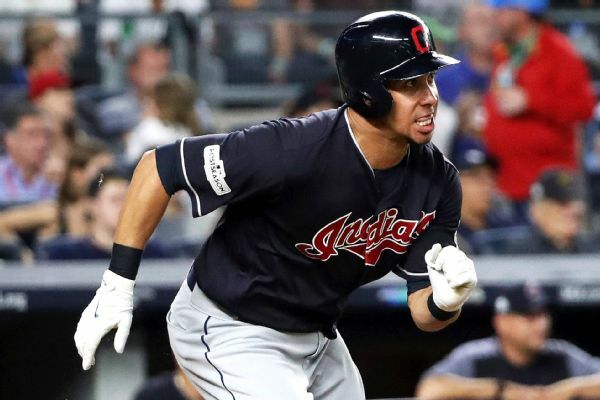 Cleveland Indians right fielder Lonnie Chisenhall is "definitely" heading to the disabled list with a left calf strain, manager Terry Francona said Monday. 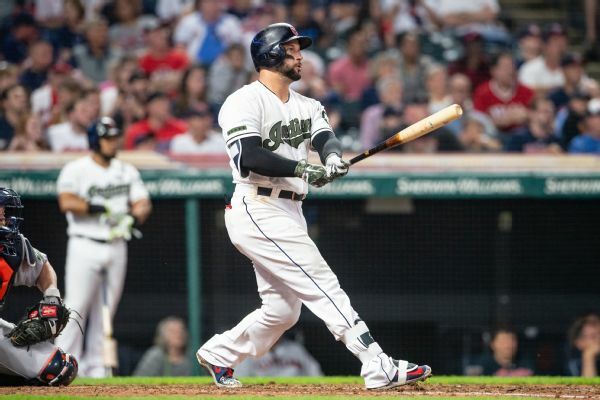 Indians starting first baseman Yonder Alonso will miss at least three games after being placed on the family medical emergency list. 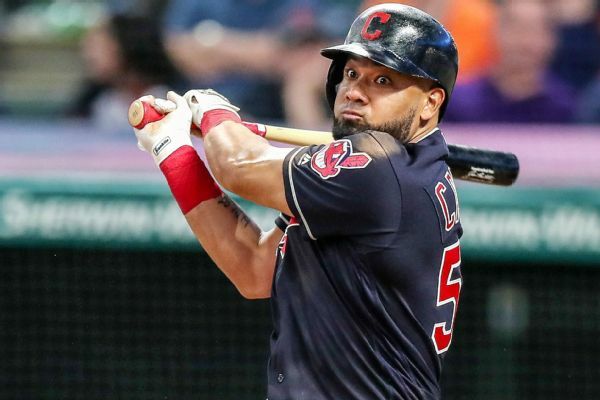 The Cleveland Indians designated centerfielder Melky Cabrera for assignment and activated outfielder Brandon Guyer from the 10-day disabled list. 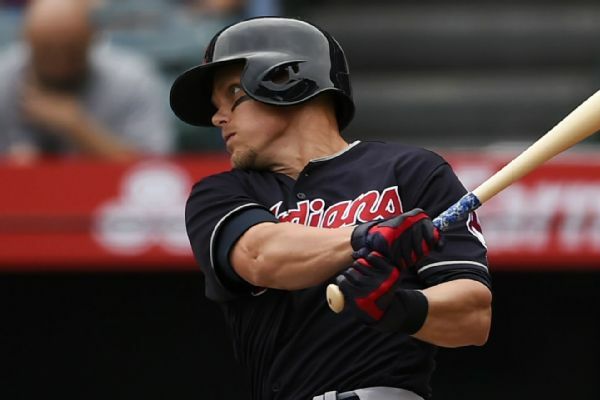 The Cleveland Indians placed Brandon Guyer on the 10-day disabled list with a neck strain stemming from a collision with a fan. 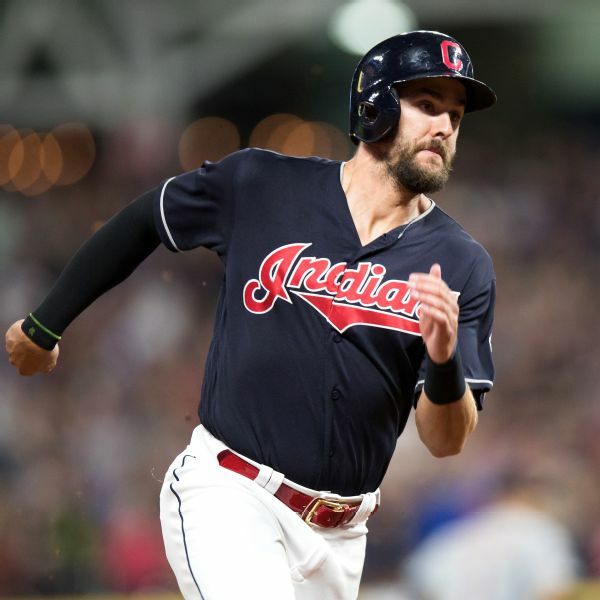 The Cleveland Indians have placed outfielder Tyler Naquin on the 10-day disabled list with a strained left hamstring and activated left-hander Tyler Olson from the paternity list. 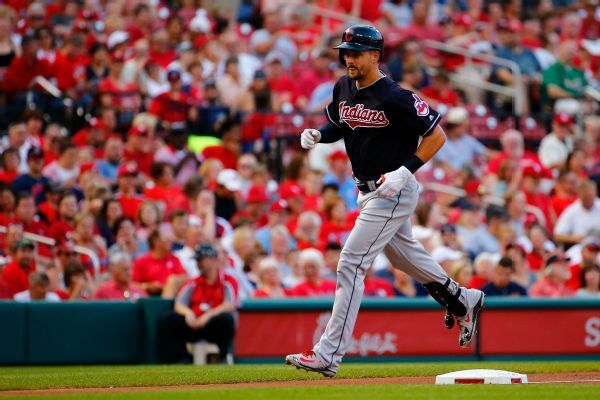 Indians outfielder Lonnie Chisenhall was placed on the disabled list Sunday with a right calf strain. 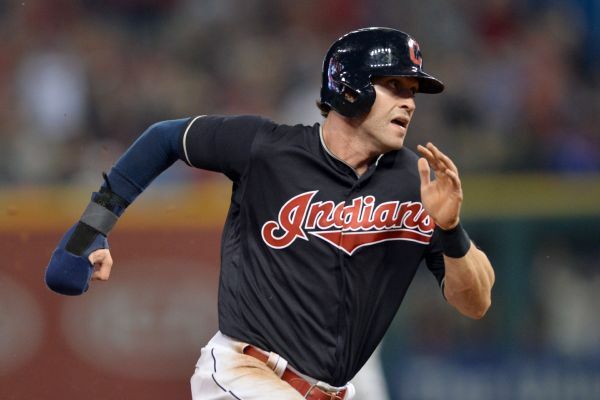 Outfielder Tyler Naquin was recalled from Triple-A to fill his roster spot. 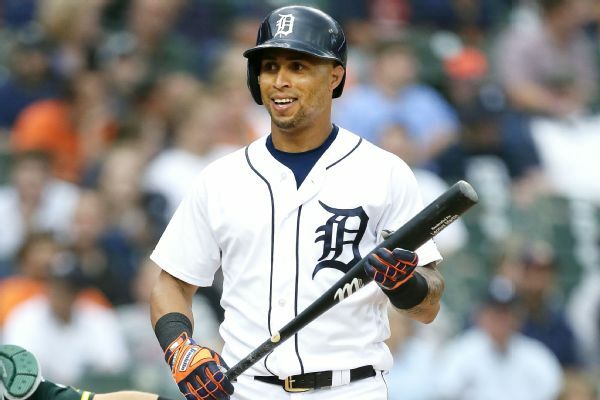 Indians outfielder Michael Brantley, who missed Cleveland's first six games while recovering from offseason ankle surgery, has been activated from the disabled list for the home opener.